New Orleans The grand jury reports from Pennsylvania, based on its investigation into the records and archives of six of the eight dioceses in the state, have been horrific. Over 1000 cases of sexual abuse of young men and women, children really, have been identified. Another 1000 are thought to exist but could not be identified clearly in the records or did not come forward during the investigation. The list of priests involved has been in the hundreds almost invariably not known publicly to their congregants and within the parishes where they served. The head of the US Catholic Conference of Bishops has gone to Rome following church protocol to ask for an apostolic investigation of the church in the United States, which in lay terms means a papal approved oversight into the US church’s handling of these matters. Pope Francis has more clearly than ever expressed that he stands with the victims. This has been a long running horror for the Catholic Church in America – and in many other countries – and all of us. After years of resistance and denial, payments by various units of the church in the US have reportedly reached over $3 billion forcing the sale of assets and even bankruptcy by some jurisdictions. But, no matter the recognition of the widespread nature of this scandal, it has not gone away because despite the many apologies, it is still shrouded in darkness. The credibility of the church still exists in some scattered locations, but the credibility of the institution and its leadership has been shattered and for all practical purposes does not exist, even as one Sunday continues to follow another and some, though fewer, believers continue to attend and contribute. This is not a scandal that can continue to be “weathered.” There is no way not to believe that one shoe after another of the same brand and similar size will continue to drop in different locations around the country. Other grand juries in other states and localities are inevitably going to begin similar investigations in the wake of the Pennsylvania revelations. The Church needs to embrace transparency and change, if it is going to survive and rebuild as a moral factor in the United States. The archives of all dioceses need to be opened to other leaders, historians, and objective eyes and voices, if the Church is going to get a step ahead of the prosecutors. The time for apologies is over. A house cleaning is in order. A cultural shift is necessary. Internal reforms are needed from top to bottom. The Church has survived many cataclysmic events from the Reformation to the Inquisition to their role in colonial imperialism. It will survive this at some level, no matter how crippled, but why not follow its own theology and fully confess in order to achieve both mercy and atonement? Words have failed. Sweeping and comprehensive action is imperative. Warsaw The Organizers’ Forum is assembling in Poland. There are Catholic churches everywhere, and they are huge, part of the legacy of Pope John Paul. The news everywhere though is focused on the first visit of Pope Francis to the United States and what that really might herald. 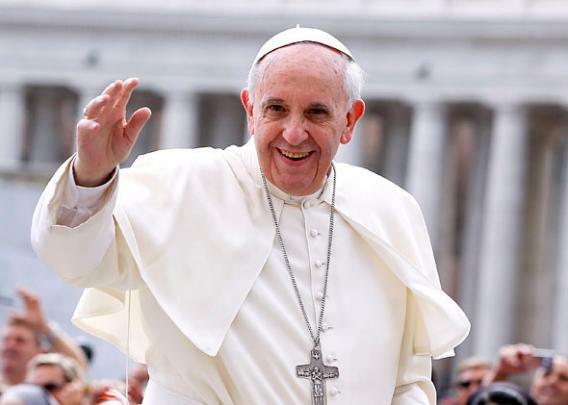 Francis has thus far been a breath of fresh air in repositioning the Catholic Church on numerous issues, especially poverty and climate change. It’s fair to ask how much change is really coming and what we can expect. Long reports in The New Yorker and The Guardian make it clear that perhaps the biggest sea change will not be external or doctrinal, but a cleaning up of the Church’s financial scandals. An Australian cardinal has been brought into the Vatican to clean house. In a surprise for Rome, the language of finance is English and the new crew speaks it freely. Reportedly an American woman financial wizard has also been brought in on the team, which is also a first. The easing out of the past financial administration which had some of the tinge of the mob around it is not unimportant particularly in Italy where the financial footprint of the church is huge. The Church’s real estate interest in Italy is estimated at 20% national and 25% in Rome itself. The total global real estate portfolio has been estimated at two trillion dollars which is comparable to the GDP of Russia, India, or Brazil. This is a mess worth attention. Where there doesn’t seem to be enough progress yet under Pope Francis has been on the abuse scandals. SNAP, the US-based Survivors’ Network Abused by Priests, continues to be a discordant voice on the Francis lovefest and perhaps with good reason. They are demanding that past records of abuse all be opened which is unlikely to get much traction given the wide chasm between the Church saying it’s sorry, which Francis is spectacularly adept at doing, and their demand for it to come clean. More troubling are the reports that though the policy in the United States has changed where accused priests are no longer just sent elsewhere and moved out of the line of fire, this policy has not become global and continues to be maintained in other countries. Francis needs to step up on that front immediately. Critics are also clear that the new policy of mercy on abortions and annulments in Francis call for jubilee and forgiveness in the coming year is much, much less than a policy change. The mercy is based on individuals admitting to sin and asking for forgiveness, making it unclear that there will be a line at the confessional booth. A friend pointed out to me that the Guardian reporter had noticed there was a cash machine in the Vatican now, which is certainly a sign of modernity. Looking at the machine though the language it used was Latin, so we need to remember what we are dealing with here. That’s hardly a surprise to hear either. The Vatican’s rejection of some of President Obama’s candidates for the meeting with the Pope, including gay and transgender representatives, is a good reminder of reality. This is the Catholic Church, one of the great conservative institutions of the world, we must remember. At the same time, Francis has opened a window, and we need to try to push as much air through in this moment as possible, especially for our people! With the welcome to America, we need to welcome the Church to the 21st Century as well.